So my friends and I went to Studio Movie Grill today. We watched Oz the Great and Powerful. It was kinda strange. I felt like they fused The Wizard of Oz and Alice in Wonderland. We watched it in 2D, but wouldn’t have minded seeing it in 3D. I’m not really a fan of 3D movies, but I felt like the effects in this movie would be good in 3D. Also, if you haven’t been to SMG in a while like me, I wanted to let you know that they now have assigned seating. Since we got to the counter at 2:00 and they trailers started at 2:05, we were played in the front. Literally the very first row. Anyways, I thought it would be colder today since I was freezing all morning and since it was cold last night. I was wrong. 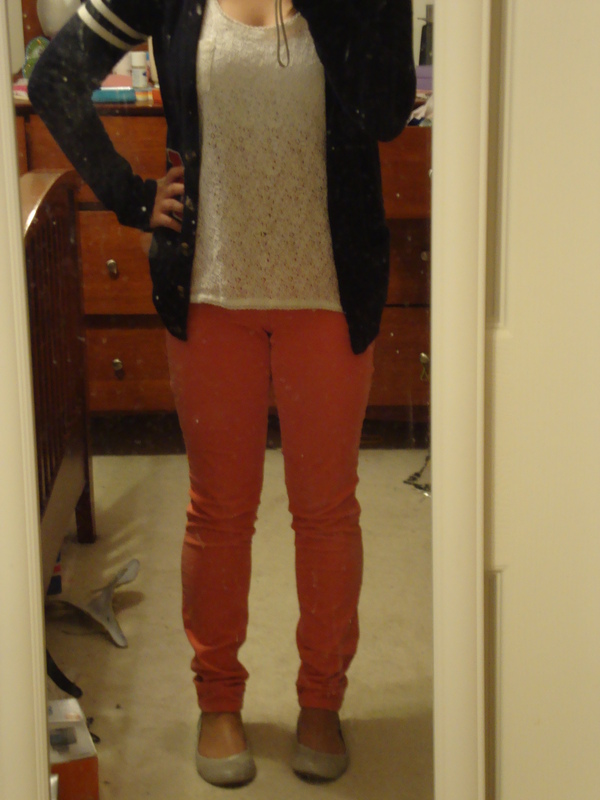 Luckily, I didn’t wear boots and went with a cardigan instead. 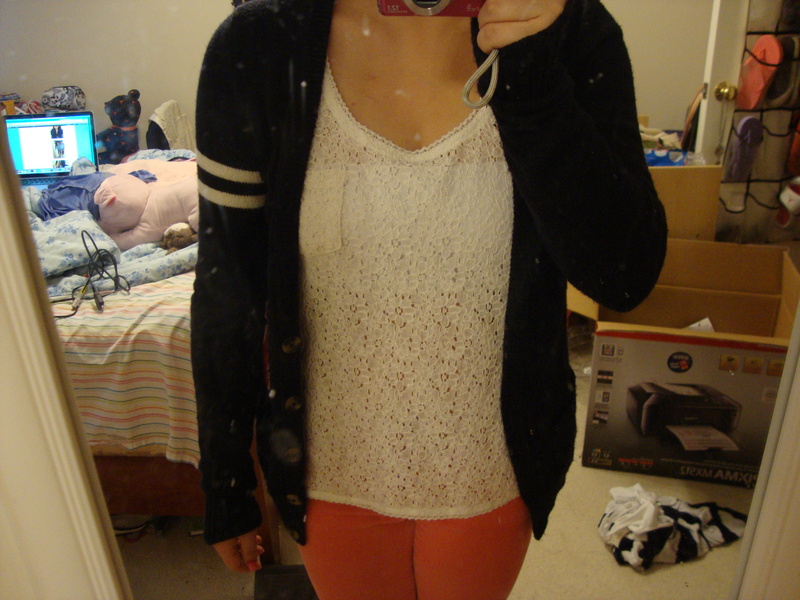 For this outfit, I combined two of my favorite things. 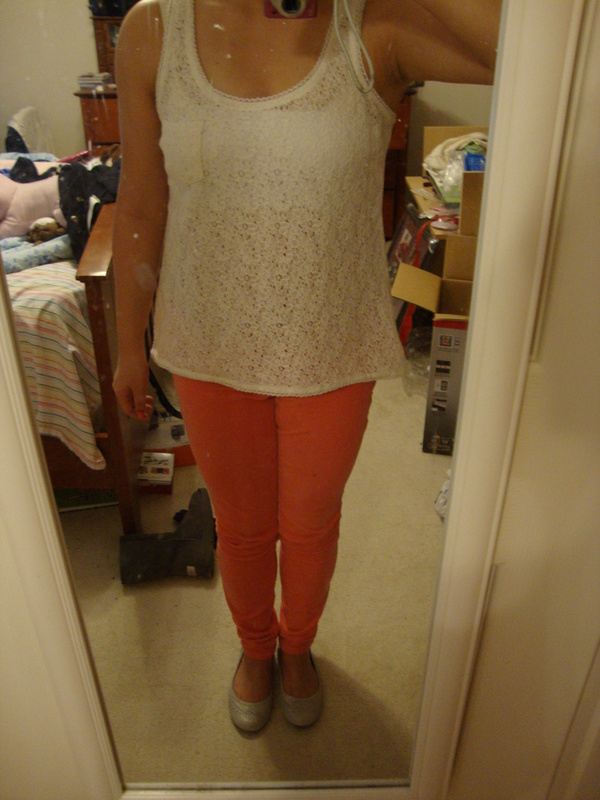 Lace shirts and colored pants! I know this was nothing special, but I thought I would share. If you guys want more of these posts, like/comment on this one, because if not, I’ll probably only post OOTD/OOTN when I have dressier events to attend.